I was inspired by one of my best friends last week. Beth runs a daycare out of her home, and threw a Halloween party for the kids last week. On top of fun games, goody bags and treats, she made pumpkin spiced play dough for the kids to have some Halloween themed creative play. I really have no idea how she does it all. I was so impressed with how good the play dough turned out, I had to try it for myself! Step 4: Mix all ingredients really well. I used my hands when the mixture got really thick to make sure everything was mixed in. It should feel like a thick pizza dough. 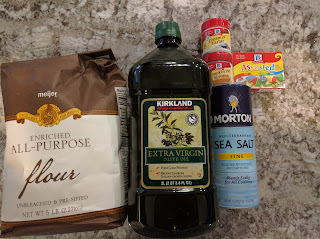 Step 5 (Optional): Add in food coloring, spices and/or essential oils and mix in. Beth's Pro Tip: Only make one color at a time - when kids mix multiple colors it turns brown. Before I added the food coloring, I split the dough up into 5 smaller balls, which makes it easier to work in the coloring evenly. After working through the coloring I added 2 tablespoons of pumpkin spice and 10 drops of Thieves Young Living oil. It smells amazing! In my opinion, play dough can get gross after awhile (crumbs, pet hair, etc. stick to it) so you won't feel as bad when you have to throw it away. It's cost effective. Once you have all of the ingredients, you can make several batches. You can be creative with colors and scents by adding spices and essential oils. Lavender is a good essential oil to add for calming. And I can't wait to make mint color play dough with Peppermint oil for the holidays! I found the cute little tupperware cups at Marshall's (pictured above), which hold the perfect amount for a play dough play session. 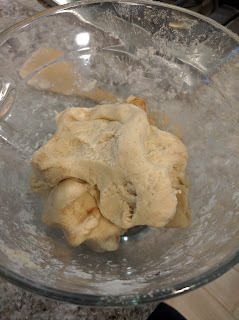 The dough usually lasts up to a month and may keep longer when kept in the fridge. Have you made play dough before? If so, how did it turn out? what are some other DIY things you make for kids creative play? 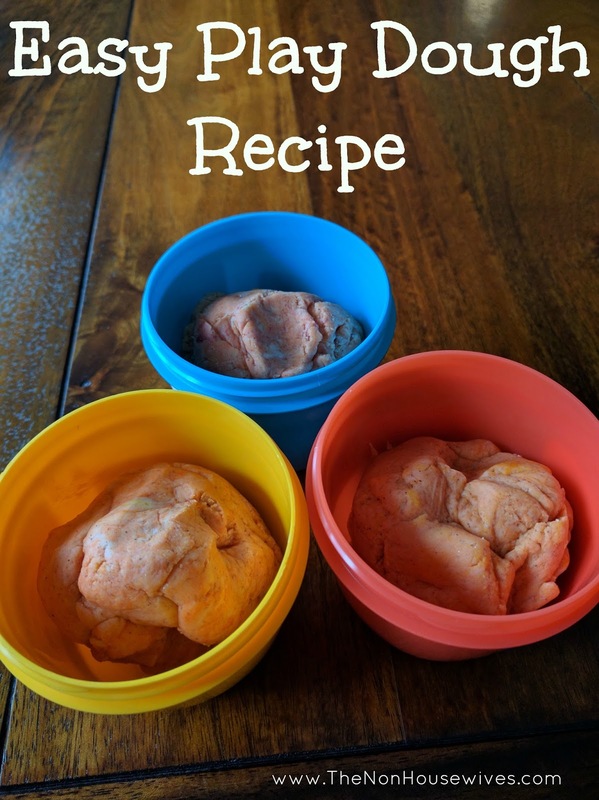 Thanks for this play dough recipe! I am going to make a batch for when my Granddaughter Violet comes at Christmastime. (Maybe I'll try a "spice & orange" scent for the holiday. Thanks for sharing! I threw out all the store-bought play doh years ago, and now that my son is in preschool he keeps asking for more! I've made playdough before. It is really this easy and last quite some time! This is one thing I have never done for my girls. I know a lot of parents make it, I just never even thought of it. Very clever. I've made it before. We had fun when the girls were little. I haven't made play dough since I was a kid. I'd love tl make some with my son. Thanks for sharing! lol I don't know if I'm ready to introduce play doh yet!